00:00 | Amsterdam (The Netherlands), Sep. 6. 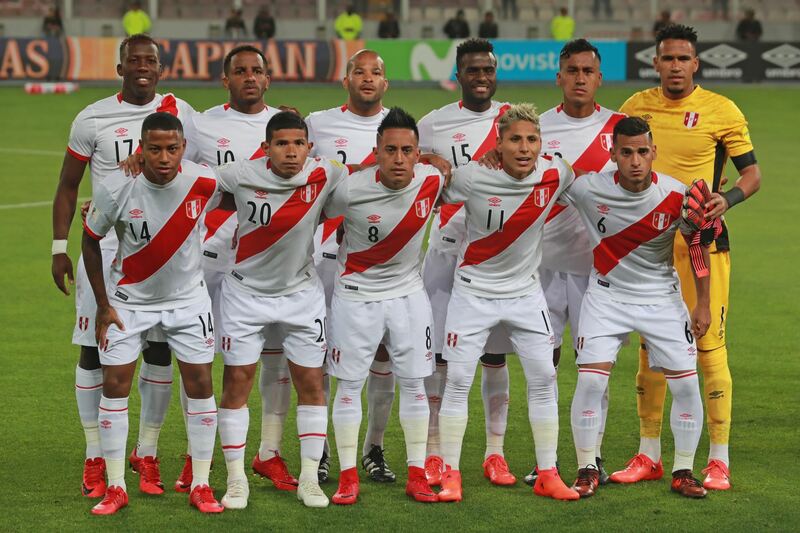 Peruvian national soccer team will play a friendly against the Netherlands Thursday in Dutch capital Amsterdam. The match will take place at Johan Cruyff Arena at 8:45 PM (local time). This will be the first friendly game the Incas will play after their World Cup participation. During the clash, the South Americans will debut their new jersey, recently released by sportswear company Marathon. A notable absence is that of the squad's top goal-scorer Paolo Guerrero, who has again been blocked from playing once the Swiss Federal Court ended the freeze of his 14-month ban. However, Argentine-born Horacio Calcaterra —now a naturalized citizen— is part of the team. Coach Ricardo Gareca on Tuesday affirmed his squad's goal is to play at the highest level in today's friendly. Afterwards, Peru will face Germany in Sinsheim on September 9 at 8:45 PM (local time). Peru: Pedro Gallese, Johan Madrid, Anderson Santamaria, Christian Ramos, Miguel Trauco, Horacio Calcaterra, Pedro Aquino, Yoshimar Yotun, Christian Cueva, Andre Carrillo, Jefferson Farfan. Coach: Ricardo Gareca. The Netherlands: Jeroen Zoet, Stefan de Vrij, Daley Blind, Matthijs de Ligt, Patrick van Aanholt, Daryl Janmaat, Davy Propper, Kevin Strootman, Donny van de Beek, Quincy Promes, Memphis Depay. Coach: Ronald Koeman.